Hugo’s restaurant has evolved dramatically. Since opening its doors in 1988, the once-humble family eatery has gone on to garner national attention for its refined cuisine. Seated at the top of Portland’s Old Port in the burgeoning India Street neighborhood, Hugo’s marks the division between the old and new, embracing tradition and pursuing innovation. 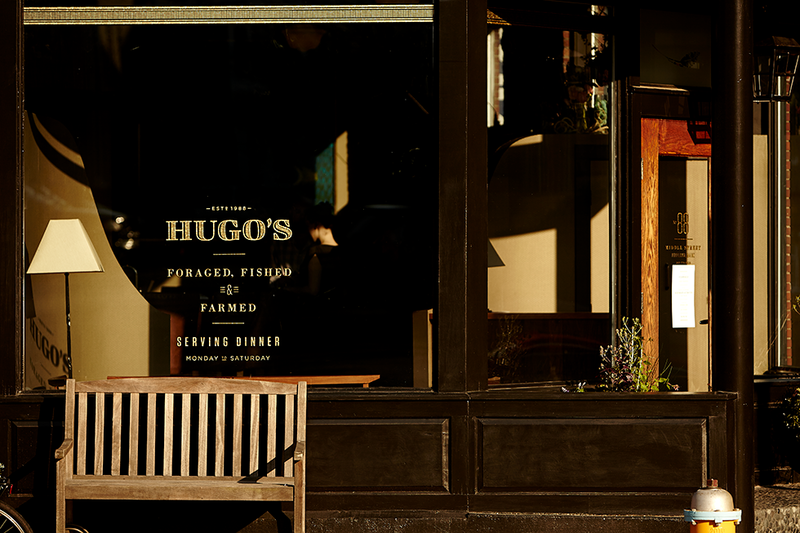 Now in its third generation of ownership, Hugo’s continues to improve. With intellectual curiosity and modern technique driving the process, our ingredients are farmed, fished and foraged almost exclusively here in Maine, reflecting the dramatic seasonal shifts of Northern New England. Wrapped in soft leather, wrought iron, and 160 year-old reclaimed red birch, the sumptuous dining room looks into an open kitchen. Custom finish work by local craftsmen ornament the space, from bespoke china to hand-stitched menus, Hugo’s dining room truly is an expression of Portland. For groups and private parties at Hugo’s, see our menu. Hugo's is owned and operated by Big Tree Hospitality. We ask for the participation of the entire party. Hugo's sourdough with cultured butter 4.
smoked arctic char rillette 6. Chardonnay, Domaine Chêne Måcon "La Roche Vineuse"
Our selection of single origin coffees from around the world change often. Each roast is paired with an ideal brewing method. Austin and Mary-Ellen Chadd run a CSA and neighborhood produce stand from their idyllic Cape Elizabeth farm. They grow some of the finest organic melons, tomatoes and shishito peppers money can buy, to say nothing of their breathtaking Fairy Tale eggplants! They have been instrumental in keeping our menus local and exciting and we look forward to their cheerful and bountiful deliveries. After commissioning Alison to produce the dishes for our sister restaurant, Eventide Oyster Co, we collaborated with her to develop a custom "Hugo's Collection" of plates, bowls and mugs that are the mainstay of our ever-growing arsenal of serving vessels. Each piece is molded and glazed by hand and a truly functional work of art. Stop by her studio and gallery on Maine Street in Yarmouth and get some of your own! We affectionately refer to the three owners of Tandem as "coffee nerds" - a title they have rightfully earned through years of dedication to the science and art of sourcing, roasting and brewing great coffee. Will, Vien and Kathleen opened their cafe and roastery in the up-and-coming Bayside neighborhood of Portland in 2013. With their help, we are proud to be the first restaurant in Maine offering single-origin coffee brewed using the siphon, pour-over and french press methods. Allagash started as a one-man operation in 1995. Founder Rob Tod was committed to bringing traditional Belgian-style brews to the emergent craft beer movement in the US. Now an iconic Maine brewing company run by a small army of talented brewers, their constantly evolving selection is well-loved by Mainers and beer connoisseurs the world over. We proudly pair Allagash beer with our entire menu. At their farm in Whitefield, Maine, Simon and Jane frost raise hogs, grow beautiful vegetables and ferment an array of pickles, slaws and kimchi. Thankfully, they commute to the Portland Farmer's Market. We love their tomatoes, peppers, cipollini onions and their well-curated selections of roots reggae. Meg & Ryan Mitchell grow an impressive array of organic vegetables on their 10-acre farm in Freedom, Maine. Each variety is full-sized and blemish-free. While they are reluctant to harvest the baby vegetables we are known to request, they are adventurous enough to grow ginger. They set a high standard for organic farming in the state. The pristine oysters farmed by father-son team Johnny and Jim Hennessey in West Bath are consistently a favorite among our guests. The nutrient-rich salt water tides of the Gulf of Maine are partly responsible for their exceptional quality, but we also credit the salt-of-the-earth folks who raise them from 2mm seeds to the 3.5 inch beauties we enjoy year-round. Phil and Lisa Webster have been raising sheep the right way in Maine since 1984, operating the historic 225-acre Stevens Farm in Windham. The pair have been recognized locally and nationally for premium quality purebred sheep, but their recent efforts also include raising some beautiful pigs and rabbits. Great farmers and even better people, it's always an exciting day in the kitchen when they stop by with their products. Ian Jerolmack has been running Stonecipher Farm in Bowdoinham since 2009, along with his wife Emily, and children Gideon, Anna, and Hugo (no relation). Ian was formerly a bike messenger in New York City, with a couple cameos in the documentary "Line of Sight," about underground urban bike messenger races. It's on Netflix. 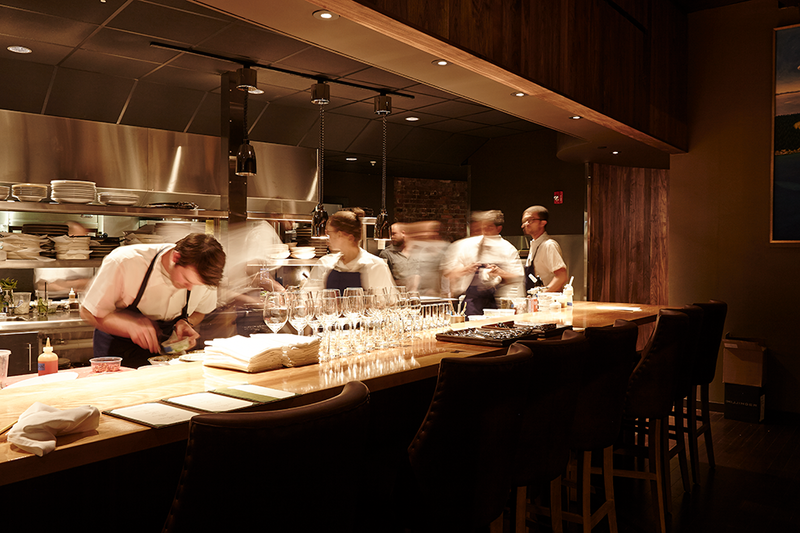 Mike Wiley and Andrew Taylor, chef/co-owners of three Portland restaurants, and Rob Tod, founder of Allagash Brewing Co., have been named finalists for prestigious James Beard Awards. Wiley and Taylor, who along with manager Arlin Smith own Eventide Oyster Co., The Honey Paw and Hugo’s, are competing in the category of Best Chef: Northeast. This is the third nomination for the chefs, who were also finalists last year. Other finalists in their category are Karen Akunowicz of Meyers + Chang in Boston; Cassie Piuma of Sarma in Somerville, Massachusetts; Susan Regis of Shepard in Cambridge, Massachusetts; and Benjamin Sukle of Birch in Providence. 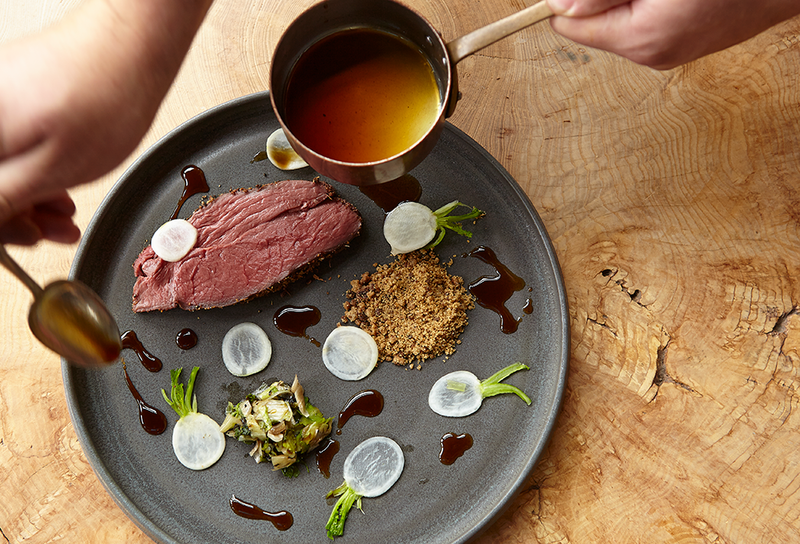 Fore Street and The Honey Paw, both in Portland, are among the restaurants named, and five chefs from four restaurants are in the running for Best Chef: Northeast. Nine Maine restaurants, chefs and brewmasters are among this year’s semifinalists for James Beard Awards, considered the most prestigious in the American food world. Maine’s 2016 semifinalists cover seven categories – there are 21 restaurant and chef categories in all – including Best New Restaurant and Outstanding Restaurant. The group was selected from more than 20,000 online entries. The 2015 James Beard Awards, hosted by Alton Brown, will be held at Lyric Opera of Chicago on Monday, May 4. Carla Hall will host our Book, Broadcast, and Journalism Awards Dinner, taking place at New York City's Pier Sixty at Chelsea Piers on Friday, April 24. Tickets to the main gala go on sale April 1, while BBJ ceremony tickets are now available online. Law and academia lost out to oysters and fine dining for the two chefs and part-owners of Hugo's, Eventide and soon, Honey Paw. Savvy restaurant-going Mainers could not have been surprised that Mike Wiley and Andrew Taylor were nominated for a James Beard award as Best Chefs: Northeast this year. If anything, we wondered what took the Beard Foundation so long. In partnership with general manager Arlin Smith, the pair owns Portland’s beloved Eventide Oyster Company and the adjacent Hugo’s restaurant on Middle Street. As locals who have waited for a coveted seat know all too well, even in the dead of winter, even on a Sunday night, even at an odd, sleepy hour of the afternoon, Eventide will be jumping. Then there’s Hugo’s (previously owned by Rob Evans), where the space and service are simultaneously posh and relaxed, the cooking intricate, elegant and assured. Hugo’s, an admiring chef friend of mine said after a recent meal, “is the real deal.” Both restaurants regularly make national and regional Best of and Where to Eat lists. And within the next few weeks, Wiley, Taylor and Smith plan to open the noodle-focused Honey Paw in a contiguous space. Portland, Maine, is the last place one expects to find progressive cooking. But that's what Rob Evans, a self-taught chef who originally trained to be an electrician, serves his customers, many of whom have traveled from out of state to eat there. In addition to a terrific in-house charcuterie program that is lorded over by executive chef Andrew Taylor, the daily menu features 15 different offerings, including creations like cornmeal-crusted soft-shell lobster with creamed corn gazpacho, foraged mushrooms, leeks and marjoram; confit of foie gras topped with salted and pickled cherries; and slow-cooked and honey-glazed Luce Farms pork belly with cabbage, apple, onion relish and charred rosemary. Even the desserts, like the house vanilla sundae with "usual and unusual toppings," get into the progressive act. If chefs like Wiley have their way, fine dining menus, with their unlimited year-round fresh produce and expensive cuts of meat, will soon be replaced by a cuisine that is a more specific expression of New England’s seasons, landscape, and culture. Hugo’s welcomes guests with a luxurious and comfortable dining room: custom-made leather booths, reclaimed wood tables, and an expansive tasting bar that looks into our open kitchen. Whether at our tasting bar, in a booth, or at one of our two tables, please trust us to make your dining experience comfortable. We offer three tasting menus nightly that cater to vegetarians, pescetarians, and omnivores. For a lighter meal, guests are free to choose just two courses. For a more opulent meal, consider a Chef’s Tasting menu—our most elaborate and involved dining experience can be arranged with advanced notice. Please call us for details. Our kitchen is ready and eager to accommodate your preferences and dietary restrictions. In order to prepare a meal tailored to your needs, we implore you to notify us of any dislikes, restrictions, or allergies when making your reservation. Parking is available in the Old Port Specialty Tile parking lot across from Hugo's. Founded in 2015 by Arlin Smith, Andrew Taylor, and Mike Wiley, Big Tree Hospitality is the Portland, Maine group behind nationally-acclaimed restaurants Hugo’s, Eventide Oyster Co., and The Honey Paw. The group acquired Hugo’s restaurant in March of 2012 and, two months later, opened Eventide Oyster Co. to popular and critical acclaim. In April of 2013 they embarked on an ambitious renovation of the Hugo’s space. In early 2015, they opened their third Portland restaurant, The Honey Paw. Guided by a commitment to generosity, hard work, and innovation, Big Tree specializes in creative and unique restaurant concepts that aim to create and sustain community. Upon graduating from Bates College with a degree in economics in 2003, Chef-Owner Andrew Taylor did the only sensible thing: enter the restaurant business. After stints with Thierry Rautereau at Rover’s in Seattle and Ken Oringer at Clio in Boston, Taylor headed north with his wife in 2009 to become the Sous Chef for Rob Evans at Hugo’s. In 2012, Taylor along with Wiley and Smith purchased Hugo’s from their mentor while simultaneously opening Eventide Oyster Co. Taylor spends every free moment hunting, fishing, foraging, hiking, camping and generally enjoying the splendor of Maine with his wife, Rachel and their three sons, Lincoln, Oliver, and Julian. Chef-owner Mike Wiley studied literature and creative writing at Colby College and Rhetoric at the University of Colorado at Boulder. He worked at various kitchens in Colorado including the Black Cat in Boulder, before returning to Maine. Hugo’s proved a perfect fit: a kitchen that fosters creativity and enjoys access to the finest ingredients. Mike is tickled to be cooking right here, in the thick of it. General Manager Arlin Smith earned his Bachelor’s degree in Culinary Arts and Hospitality Management from The Culinary Institute of America in Hyde Park, New York. After making his mark in the Hudson Valley, he then set his sights on Portland. 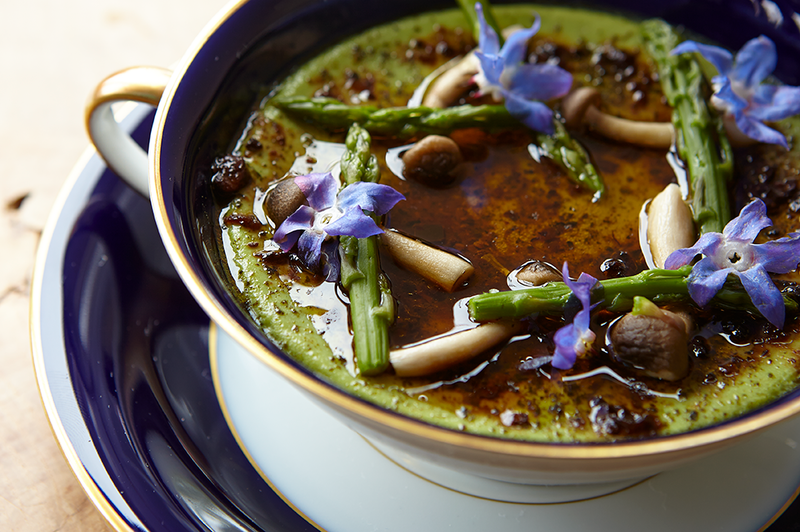 A tasting menu at Hugo’s under former Chef Rob Evans prompted the fortuitous move. He was hired soon thereafter and later became an owner in 2012. He enjoys being a player in the Portland restaurant scene and hopes to one day meet a nice young lady who won’t ask him to be home on Sundays.